When moving your family, say from place A to B, you want a residential mover who knows exactly what it is they are doing. With this in mind, you should go for a mover that does not just have the expertise but also the track record that backs its promise of a frustration-free move. Given the advanced technology and performance, a professional residential mover should offer both local and long distance moving services, no matter if you are moving in-city or out of state, you should experience no problems. With the warm weather approaching, many of us need to take extra care while working outside taking extra precautions in the summer. We have experience managing crews outdoors year round. There are no short-cuts when it comes to packing. And we all know that packing requires a lot of care and takes too much time. That is why you need an expert to handle everything for you. A professional company offers crafting, full-service packing, and unpacking services to ensure that you have no stress doing the job yourself. In this concept, sensitive materials include electronics. Since most electronic items can easily be damaged, it is recommended that you have a professional to handle this type of packing. Items that typically fall in this category are computers, televisions, gaming consoles, speakers, and tablets. Some of the fragile items are pictures and mirrors. Given that these items require comprehensive packing services, it is important that you get an expert who is trained to do this. This will not only save your money but also will give you a peace of mind knowing that your belongings are safe and secure. Moving every possession you own is not a laughing matter. Of course, no one wants to see his/her things damaged or lost in the name of being moved. When you work with a professional residential mover, you can count of its expert movers to carry out everything they can to ensure the protection and safety of your shipment. The fact that they handle your belongings carefully means you will not have any problems due to a misplaced or lost item. Commonly referred to as SIT, storage-in-transit is handy for those who need storage during their move. This applies to possessions that need to be stored for up to 180 days. If you need more time, your local agent can convert your shipment to a local move, re-quote price for keeping your belongings in storage, and give you a new cost for delivering them to your new place when you are ready. Regardless of your situation, a company that offers good storage service will have you covered. It will make sure that your belongings are expertly packed, especially if they are fragile or delicate items. A good residential mover should have the right storage options for your items no matter the type of storage you need. Ideally, the company should have secure facilities built to keep your belongings protected. In fact, most of these facilities should be approved by the military, the U.S. government and the fire department for safety. 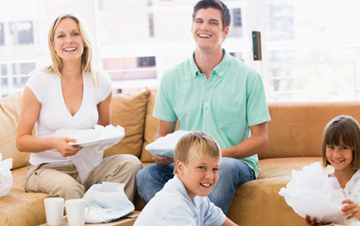 Another essential service that residential movers provide is moving guides. Despite being expensive, moving should not empty your wallet. The price of an interstate move depends on the distance of a move and the weight of the shipment. Local moves, on the other hand, are calculated by handling time and added services such as packing. In other words, the more items you move or the more time it takes, the more you are likely to pay. You can cut your moving costs considerably by keeping a few things in mind. One of the things you can do to cut costs is by staying organized. Be keen to stay organized before the move and throughout the move. The more organized your move, the more money you will save in the long run. Best of all, staying organized will help you alleviate stress that comes as a result of relocating. Other things you should consider for an inexpensive and successful relocation is planning, packing, and comparing movers. · Consider a Plan: Make sure you get a free in-home service before you make a decision on what moving services fit your budget. · Contact your Local Agent: Your local agent is handy when it comes to relocating. Talk with them about any concerns or problems. · Pack your Items: The residential moving company will do this. During this process, make sure you look at the company’s packing guides. · Relocating from Location A to Location B: The driver will let you know the estimated arrival time. In most cases, the driver will let you know of the arrival time in 2 days in advance. · Unpacking: Upon arrival, the company will unpack your items (that is if it was included in the contract). They do this carefully to make sure that all of your items are safe, secure, and not misplaced. Moving home has never been easier; thanks to our residential movers. Equipped with modern facilities, our movers are always at your disposal. They ensure that you have an easy time moving rather than being stressed up during the process. Best of all, it is simple to get a professional residential mover near you, as all you need to do is to search, contact and agree on certain terms. Need A Quote For An Upcoming Move? Simply call one of our recommended partners and get a free quote based on your requirements. Are you moving a one bedroom, two bedroom or three bedroom house or apartment? Do you need to move office? No matter what your needs are, we can quote you a fair and affordable price based on you specific requirements. We know that every move is different and that's why our estimates are always tailored to your specific situation.